Because cheesecake is yummy and healthy cheesecake is even better. Mix Â½ cup almond flour/meal and 2 TBSP coconut oil. Flatten into the bottom of a 4.5â€³ springform pan thatâ€™s been sprayed with nonstick spray. This is the crust so make sure it covers the entire base. 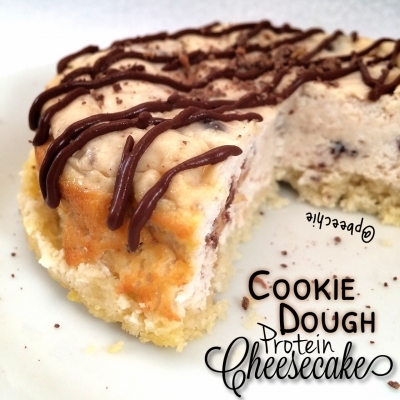 Blend 1/4 cup plain greek yogurt, 1/4 cup lowfat cottage cheese, 1/2 scoop cookie dough whey protein (cellucor brand), 1 TBSP coconut butter, 1 egg white, and 2 stevia packets until smooth. 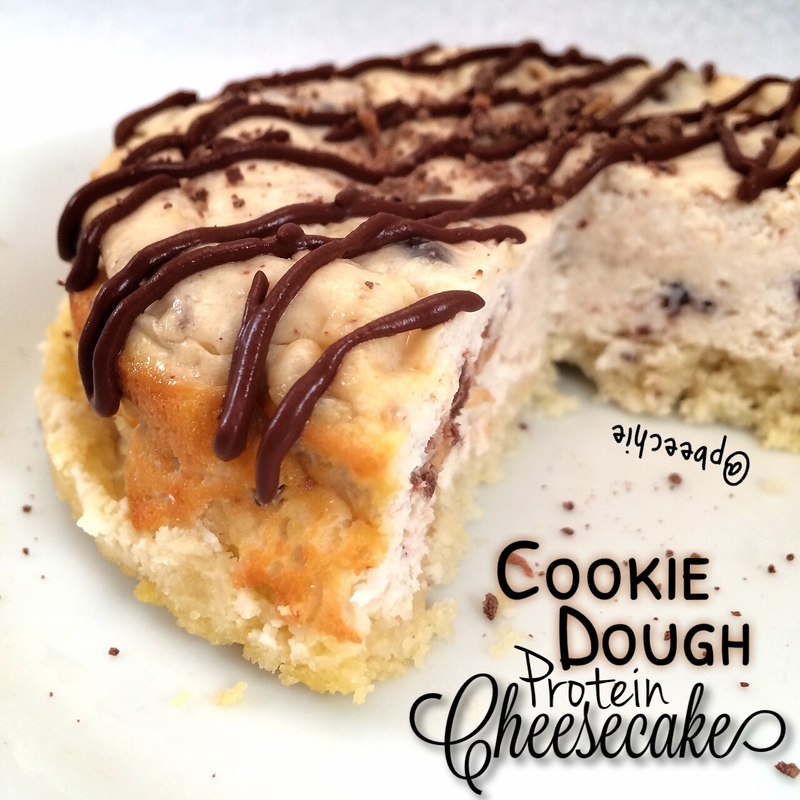 Break apart 1/2 chocolate chip cookie dough quest bar and swirl it into the cheesecake blend. Pour your cheesecake mixture on top of the crust in the springform mold. Bake everything at 325 F for 25-30 minutes. Then refrigerate for 4-6 hours. Slice into 4 pieces and serve! I topped mine with a healthy chocolate drizzle (unsweetened cocoa powder, unsweetened almond milk, and stevia).